Does your company make representations to law-makers or government officials? Free and open access to government is an important matter of public interest. In democratic societies, citizens and civil society groups have the right to express their interests and concerns to elected or appointed government officials at national, regional and local levels. It is also recognised that businesses possess these same rights. Indeed, extensive, open participation is considered essential in promoting informed, evidence-based decisions regarding policy and law-making. Lobbying public office holders is therefore a legitimate and necessary activity. A variety of organisations, such as charities, NGOs and trade associations as well as businesses, engage in lobbying for many reasons, with varying levels of success and influence. As Georg Kell, the executive director of the UN Global Compact, wrote a few years ago in a report on responsible lobbying: "Ensuring that lobbying doesn't undercut corporate responsibility is of great importance .... But probably more important is the question whether and how lobbying can become a positive force to support, or even expand, a commitment to responsible business." However, as Transparency International explains, the means by which interests are expressed can be open to abuse. It is not in the interest of wider society if some organisations can unduly affect the decisions made, whether in formulating policy or creating favourable regulatory regimes or, more crudely, awarding contracts or granting special permits or other favours. Some organisations seek influence by engaging specialist lobbying firms. These have expertise in gaining access to government officials and in putting issues before decision-makers. The core function of such professional lobbyists is to influence government in a way that is favourable to their clients. It is predominantly large businesses that engage them - and may spend large amounts of money to do so. Between 2008 and 2010, 30 Fortune 500 companies spent more on lobbying than they paid in federal income taxes. It is also possible for corporations to have indirect influence through, for example, support of think-tanks that are generating ideas and policy. The fact that rich and powerful business interests, or even wealthy individuals, can buy influence, and the special privilege that flows from it, undermines basic concepts of fairness and representative democracy. There is a difference between legitimate and illegitimate lobbying but it sometimes requires clear values and fine judgement to identify where a particular action lies along the spectrum. For example, there may be practical benefits to individuals moving between posts in government and related jobs in commerce and industry as this may enable the two sides to better understand each other and brings practical experience to policy making, with benefits to wider society. On the other hand, a "revolving door" between the public and private sectors may result in networks of former colleagues being used for private business advantage and/or individual gain. Some nations maintain a register of lobbyists and also set minimum periods before former government people can take up paid employment as lobbyists. setting out circumstances where a 'conflict of interest' might arise and set out guidelines for actions and steps to deal with the problem. 'Responsible lobbying' occurs when it is consistent with the stated policies of an organisation, its commitments to stakeholders, and to core strategy and actions, and also where it advances the implementation of universal principles and values in business practice. 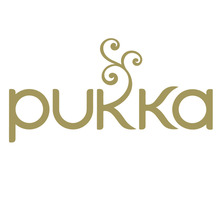 Pukka Herbs answered Version 1 of this question. It has since been updated to Version 3. View a side-by-side comparison of the changes to the question here.